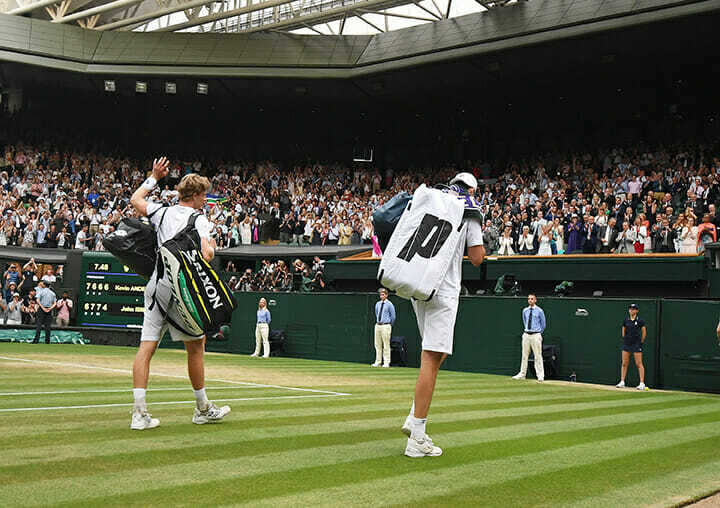 Kevin Anderson won the second longest match in Wimbledon history as he worked for six hours, 35 minutes to defeat John Isner 7-6(6), 6-7(5), 6-7(9), 6-4, 26-24 on Friday, becoming the first South African in 97 years to play the grass final. 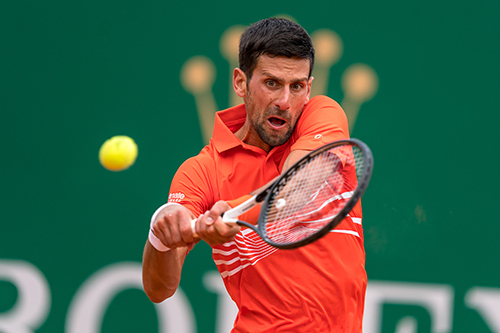 The 32-year-old may be struggling for fitness after also needing more than four hours in the quarter-finals this week to beat Roger Federer 13-11 on Thursday. 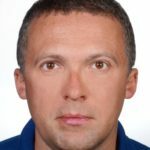 In the moments after his marathon victory, Anderson, vice president of the ATP Player Council, put in a plea for Grand Slams to revise the thinking on play-it-out fifth sets. 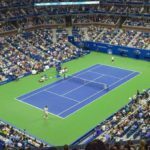 Only the US Open uses the final-set tiebreaker common on the ATP. 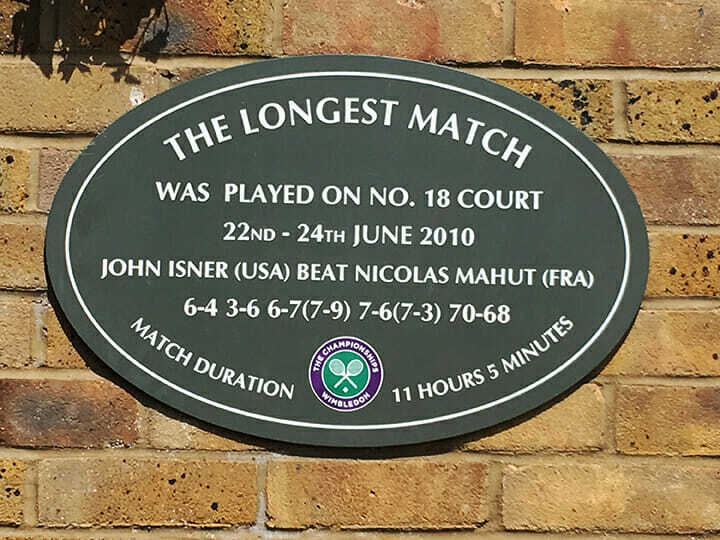 Isner, who physical resources looked to be starting to fade at the end, was involved in the longest match in all of Wimbledon history, winning a 70-68 fifth set against Nicolas Mahut in 2010 on an outside minor show court. Anderson, who landed a shot after falling down, scrambling up and hitting the next ball with his non-dominant left hand to eventually win a point in the final game after breakng a game earlier, was drained on all fronts by his effort. 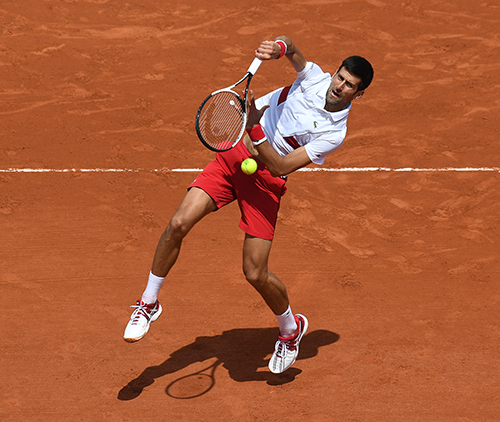 The South African earned two match points and took victory as Isner returned out. The winner fired 49 aces while Isner had 58. 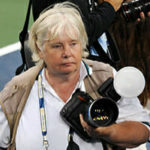 “It will take a long time process this.. I’m playing a Wimbledon final, that’s part of a dream come true,” Anderson said. 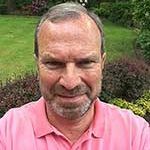 “I’ve known John for years (they played at different American universities at the same time a decade ago), he”s a great guy. “It was tough for both of us at the end. But someone has to win. I feel for John, I don’t know how I would take it playing so long and coming up short. 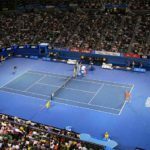 The match began on script – all about serve, an hour per set in the early going and big-hitting identikit baseline tennis from two of the tallest men on the ATP. 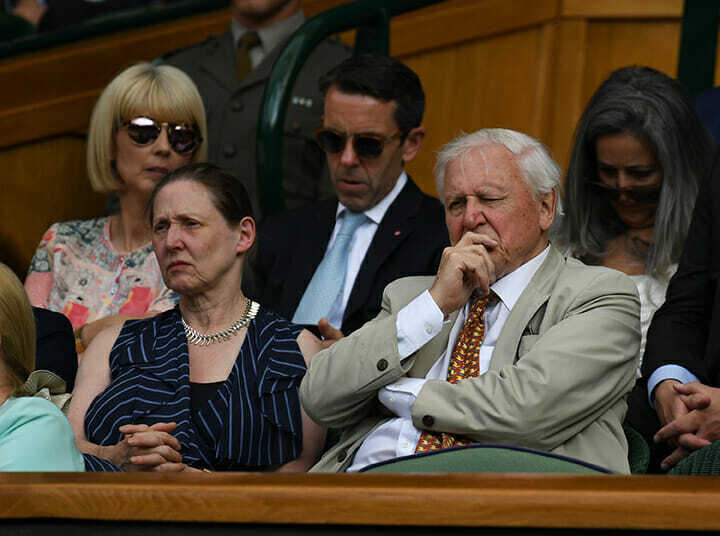 While both had their wives in layer boxes, it was the jack-in-the-box act of Isner’s oddly be-suited coach Justin Gimelstob whose loud encouragement drew the most attention. The first two sets quickly settled into the usual pattern of serve-serve-serve, etc. followed by a tiebreaker. Anderson won the opening set, Isner the second to put it all back to the starting line once again. 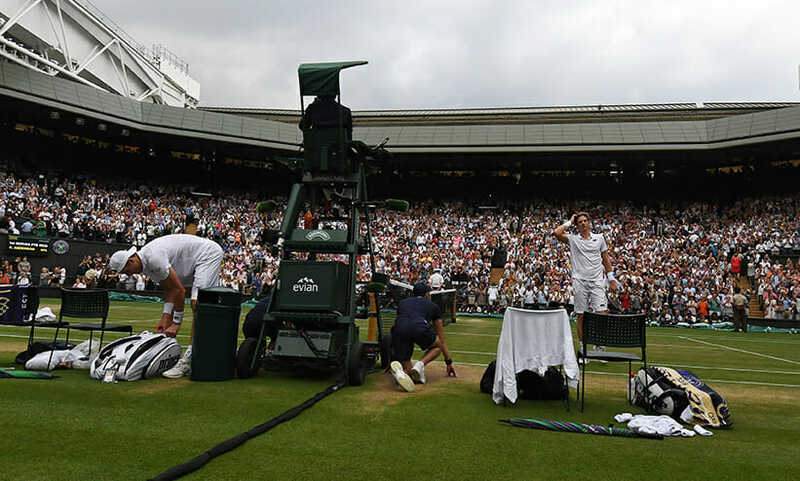 Something of slight interest materialised in the third set, when – after 31 previous holds – Isner’s serve was finally broken, with Anderson taking a 5-3 lead. 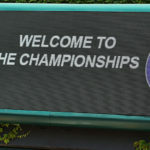 But the margin didn’t last, with the American who had controversially stirred it up this week by admitting he wanted to invite the visiting Donald Trump to watch one of his Wimbledon matches, breaking back and eventually taking a two-set-to-one lead as the afternoon wore on interminably after another tiebreaker. Anderson began to get a handle on his game in the fourth set, earning a break of serve, losing it a game later and then breaking back to grab a 5-4 led. 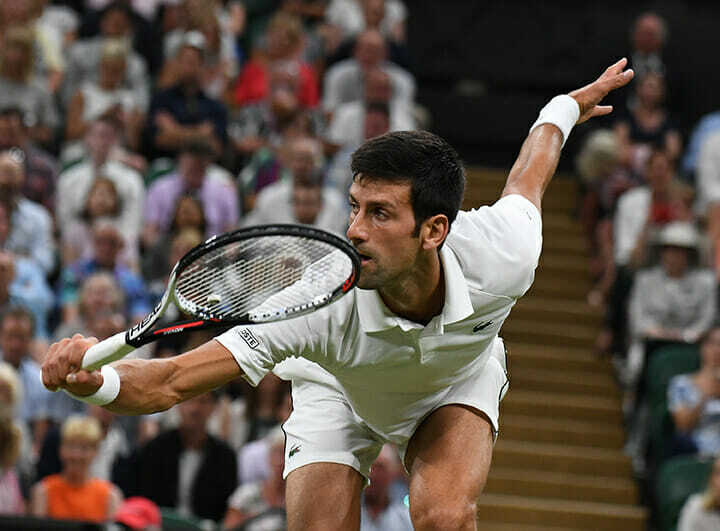 The South African squared the contest at two sets each on his second set point, almost assuring a drawn-out final chapter under Wimbledon’s old-school rules. 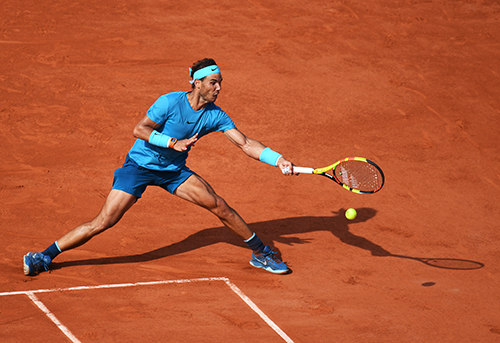 The final set remained on serve as fears of when the showcase Nadal-Djokovic semi could actually start as evening quickly in what turned into a colossal scheduling mis-judgement. As the tension increased, the overdue ending kept getting postponed as the five-hour mark approached. 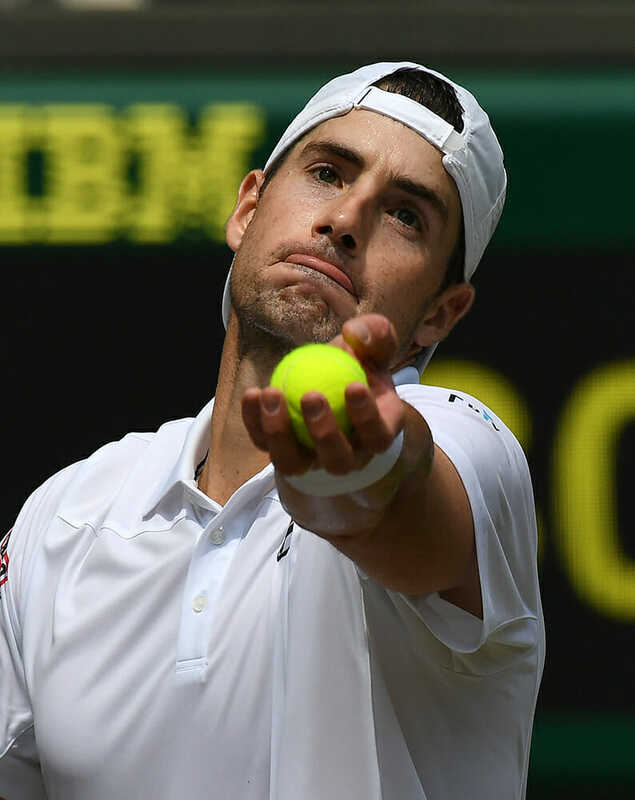 Isner saved a break point in the 15th game with his 42nd ace, with Anderson holding a game later for 8-all. Isner had another chance to save break points in the 35th game, with the American throwing down his 51st and 52nd aces for am 18-17 lead. 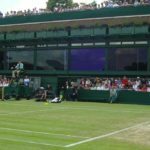 Television commentators began seriously speaking of the quirky fifth-set rule at the All England club as the set dragged on. 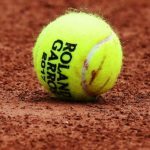 With heavy evening rain clouds hovering over the court, another complicating factor was suddenly added to the mix along with the uncertainty surrounding the second semi-final start. 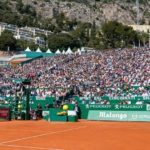 Djokovic saw the humour in it all, tweeting a GIF of himself playing marbles on the floor of a dressing room while the wait went on. 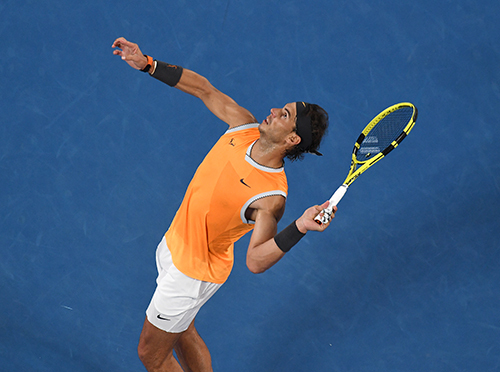 When play did start, Djokovic led Rafael Nadal 6-4 3-6 7-6 (11-9) before play was suspended. 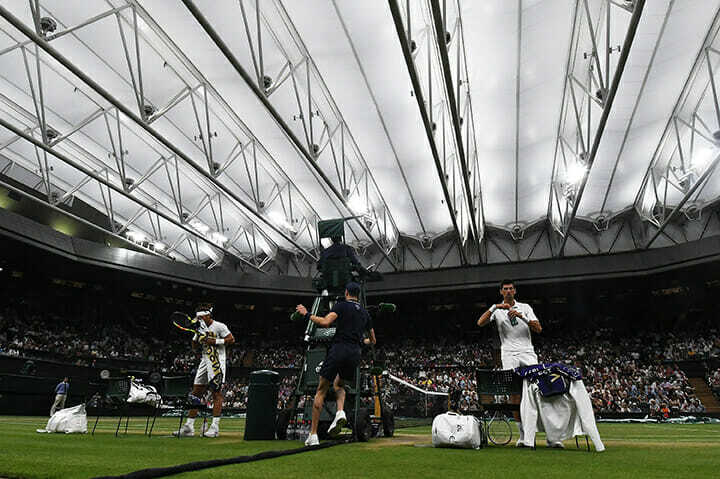 They did not start their match until after 8pm local time and Wimbledon chiefs closed the roof before the start but a 23:00 curfew meant the match will resume at 13:00 today (Saturday).